Outdoor space in New York City usually comes at a premium. 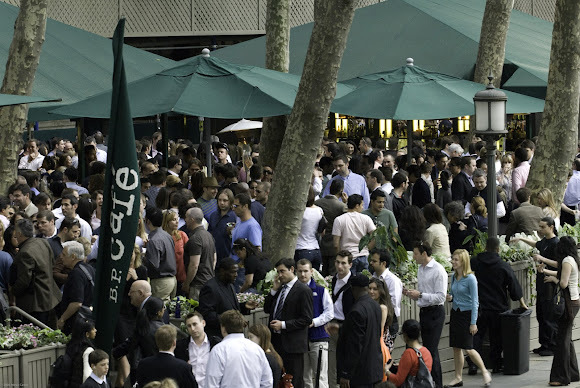 But in Bryant Park, we've got a few options for you, including two terrific happy hour spots at the Bryant Park Cafe and the Southwest Porch. The Bryant Park Cafe is a midtown classic with a large bar for a few end of the day cocktails, and casual seating for their new American style menu at lunch or dinner. 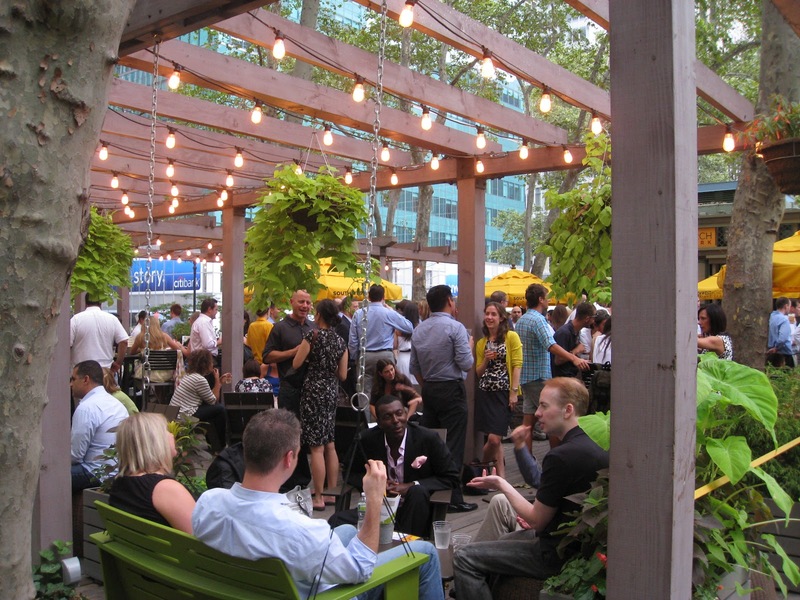 Or you can swing into your after work plans at the Southwest Porch with sips and snacks provided by 'wichcraft. All the while relaxing in adirondack chairs and porch swings. The warm weather after work fun has just begun. Why not savor it alfresco?